An example of a CIB-approved label. Image courtesy of CIB. 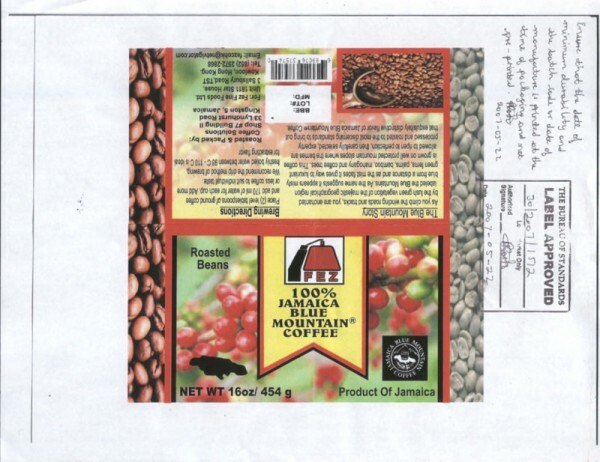 Jamaica’s Coffee Industry Board is launching new efforts to prevent the selling of coffees that are fraudulently labeled as Blue Mountain Coffee, a practice the board says resulted in export earning losses of approximately $4 million from 2013 to 2014. The group is establishing a Brand Infringement and Enforcement Task Force with membership composed of several key state agencies that will seek out counterfeit coffees being sold online and in retail establishments, while pursuing criminal charges against unlicensed sellers. The Blue Mountain stamp is a globally protected certification that requires approval from Jamaica’s CIB for use. The board says the task force was created after ongoing reports of importers in other countries passing off roasted and unroasted coffees as authentic Blue Mountain. Meanwhile, revenues from the export of authentic Blue Mountain Coffee have dropped from $15 million in 2012 to $11.7 million last year, the board announced last week. 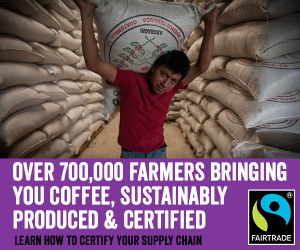 The announcement also comes as a consortium of investors led by billionaire Michael Lee-Chin is in negotiations to purchase the assets of one of the largest Blue Mountain Coffee producers, Wallenford Coffee Estate. The Chairman said, overall, the task force will ensure that when breaches are detected and investigations completed, the necessary sanctions will be imposed. These, he said, could take the form of confiscation of goods, imposition of a fine ranging between $100,000 and $3 million, or a term of imprisonment, which could range between six and 12 months. Mr. Franklyn said the CIB has already supplied Jamaica Customs with a list of all licensed coffee dealers, who have been given permits to import by the board.